Almeria, Spain. 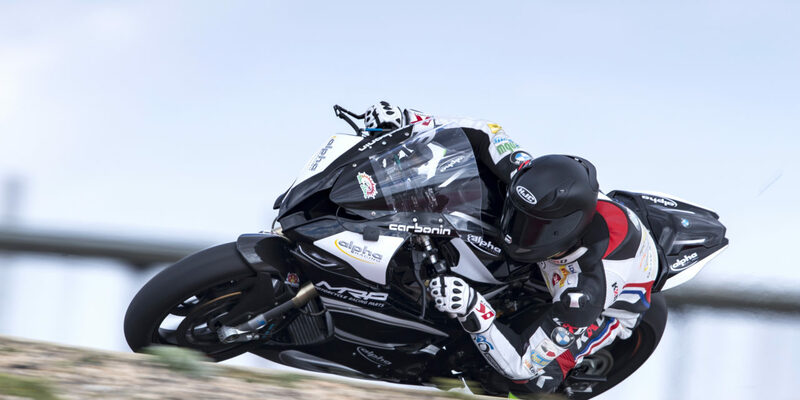 The alpha Racing – Van Zon – BMW team had a successful first roll out test on the brand new 2019 BMW S 1000 RR in Almeria in Southern Spain. The equip of team principal Werner Damen spent five full days working on the new Double-R motorbikes for the reigning IDM Superbike Champion of 2018, Ukrainian Ilya Mikhalchik, and last year’s bronze medal winner Julian Puffe from Schleiz. With that, the first laps on arrival where done on completely street spec standard bikes to get the engines ran in. Both riders where showing overwhelming reactions after the first contact with the brand new RR bikes. As the week progressed, the bikes where transformed into proper racing machines with the addition of tuning- and evolution-parts. Mikhalchik and Puffe with their respective mechanic crews worked on finding a base setup and to find a direction with the new parts and supplies. After the first five days of testing the team showed highliy motivated and satisfied, as lap times already dropped below the markers set one year ago on the “old” version of the RR. Still the team has a lot of preparation work to do prior the season opener mid May. The alpha Racing – Van Zon – BMW team only entered a pre-series model of this year’s season bike and now is going to build the “proper” machinery for Mikhalchik and Puffe, basing on the data and perceptions gained at this shake down test. 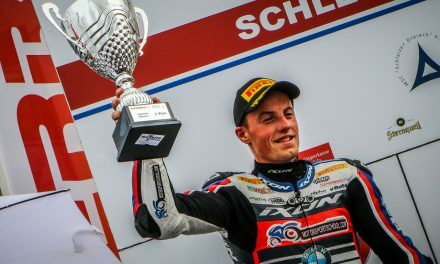 (DE) WorldSBK Wildcard voller Erfolg. 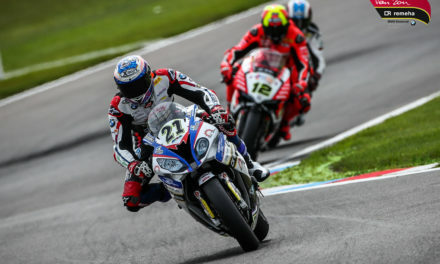 (EN) STK1000 | Wet race in Brno makes good performances of Reiterberger and Bühn relative. 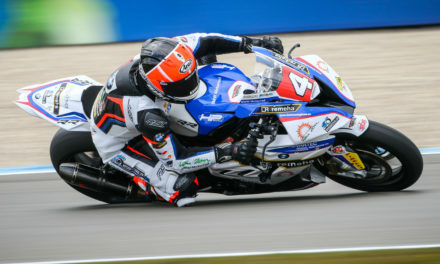 Danny De Boer with successful SST 1000 Wildcard performance in Assen.